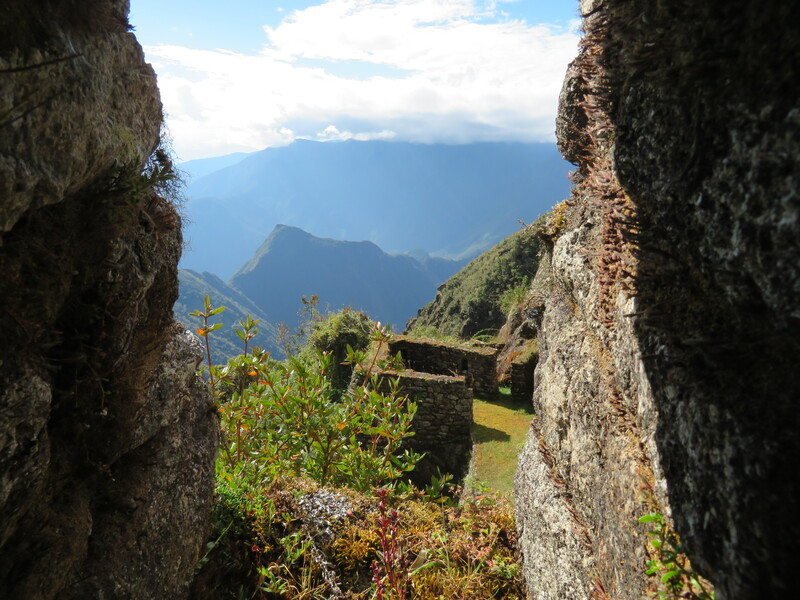 Here are our Top 10 tips for your Inca Trail trek to Machu Picchu. 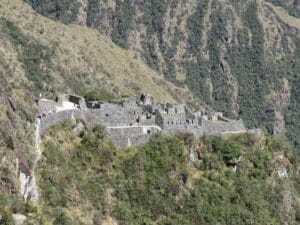 We lead between 10 and 15 treks along the beautiful and historical Inca trail to Machu Picchu each year. Most people go for our 4 day traditional trek, 5 day classic trek or 6 day Salkantay trek to Machu Picchu. Check out our upcoming trips. 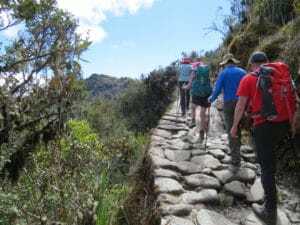 After years of offering this amazing trek to Machu Picchu, we want to share our Top 10 tips for your Inca Trail trek to Machu Picchu with you. 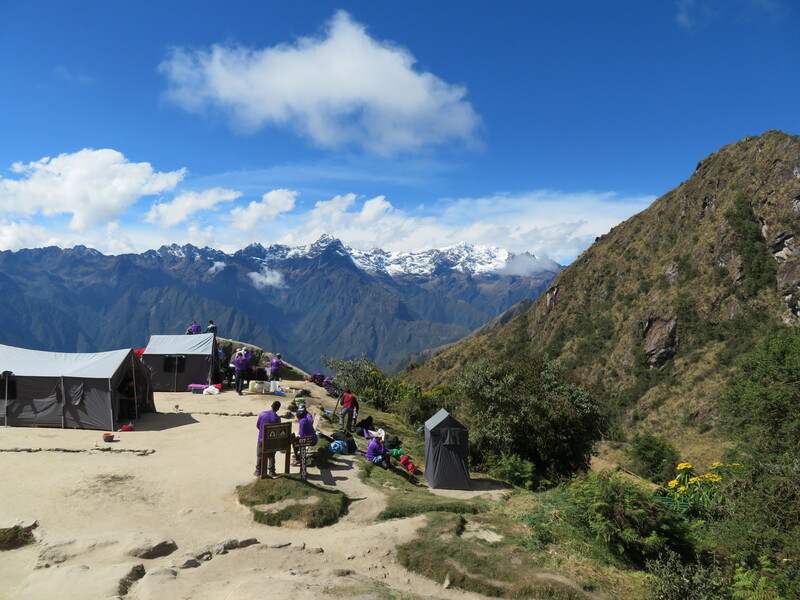 We want to make sure you have a safe and successful trek along the Inca trail. Read some reviews. 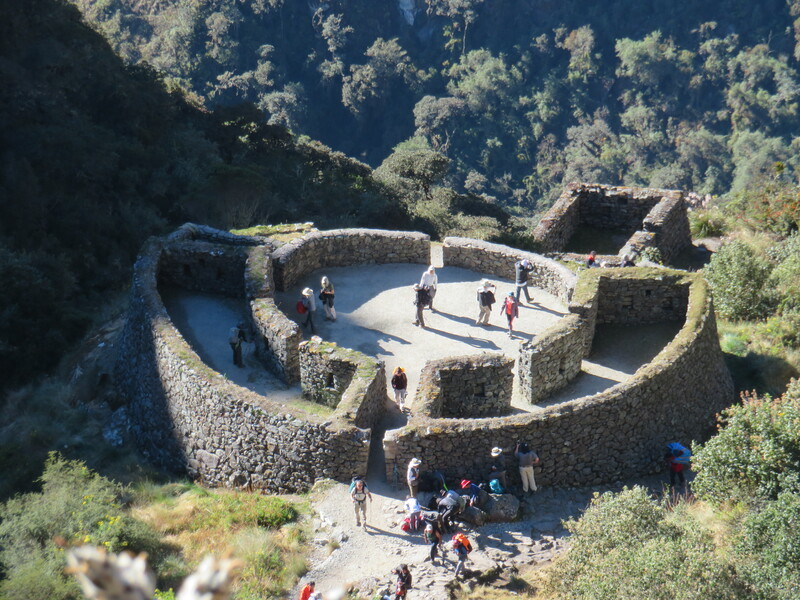 and here are 20 reasons you should pick us for your Inca Trail Trek. 1). Make sure you put in the training Trekking the Inca trail to Machu Picchu is a 26 mile trek over 4 days: starting at 2,800m/9,186ft, trekking up to 4,215m/13,829ft and ending back down at 2,450m/ 8,038 feet. This trek should not be taken lightly, you will trek over a number of passes, steep ascents and descents, and thousands of rocky steps. If you have not put in the training beforehand, you will definitely struggle on this uneven trail. Putting in at least four days a week training, walking in the hills, rocky terrain or just up and down steps, will give you the best chance of enjoying your journey as well as being successful in reaching your destination of Machu Picchu! 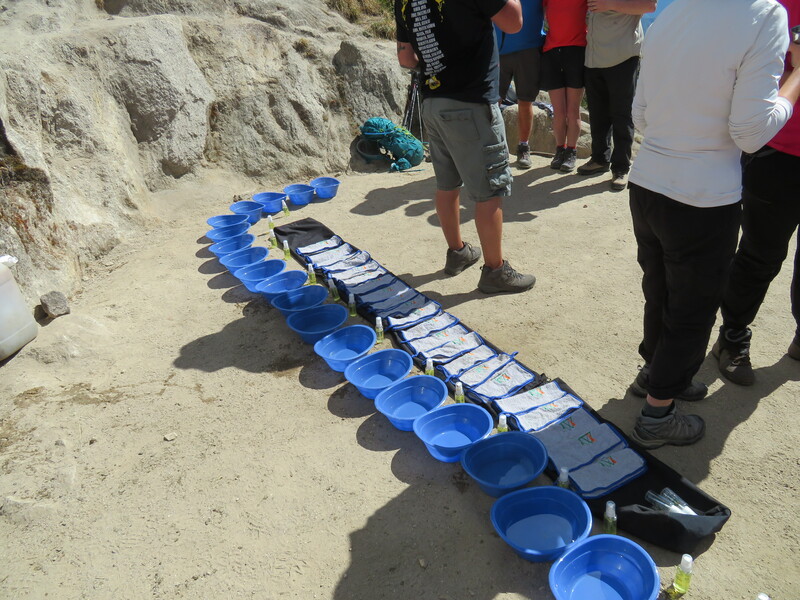 If you are signing up to one of our trips We are happy to help you with your training and set personal training plans. READ MORE. 2). Get the right boots and break them in. Having the right boots are an absolute must on this trek! You will be wearing these boots day in and out, along the extremely uneven and rocky trail. 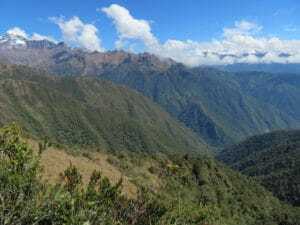 You do not want to arrive to the Inca Trail with a new pair of boots that you have not taken the time to break in, as this could make for a long and uncomfortable 4 days! Make sure that you have a pair of boots that you have worn out in the elements and broken in on trails. You also will want to make sure that the boots you choose are waterproof, as you are likely to encounter moisture, either in the form of rain, snow or both on the trail. READ MORE. 3). 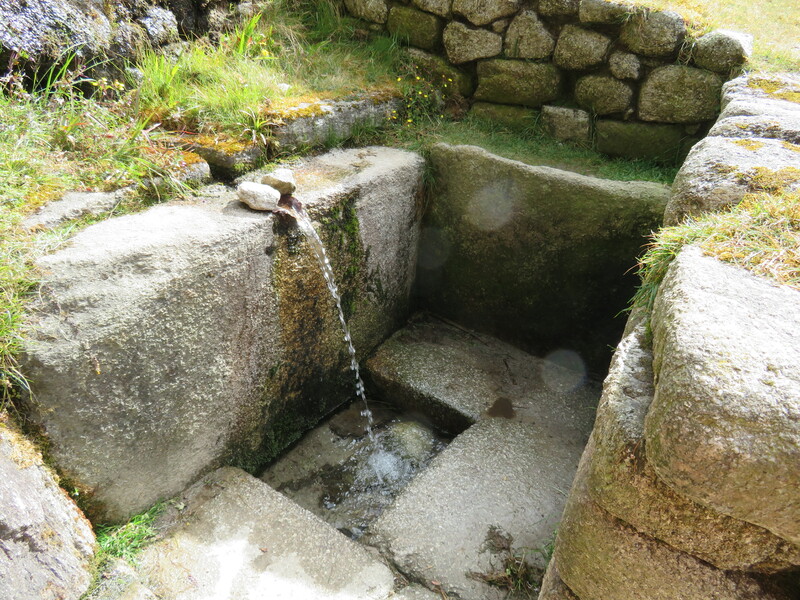 Have the right gear, especially your waterproofs The gear you choose to purchase and bring with you on the Inca Trail can be the difference to your enjoyment on the trail. There are a few things that I would recommend you put a little extra money into if you want to set yourself up for success: Waterproofs and layers. It is almost a guarantee that you will encounter rain on the trail, you definitely need to be prepared for this. Having a waterproof jacket and pants will mean that you do not have to spend the 4 days on the trail wet and cold, which can definitely make or break your trip! Purchasing a good Goretex (or similar waterproof membrane fabric) jacket and pant is a necessity. If you feel you do not want to spend the money on both of these, as they can be quite pricey, I would put the extra funds into the jacket and you can survive with a more basic pant. The other place that I would put my focus on in terms of gear is in my layering systems. The temperatures on the trail can sometimes drop below freezing, which means that you will definitely need good layers as well as a warm down jacket. I like to focus on wearing Merino Wool base-layers, however, they are quite expensive, so if you don’t want to spend the money on wool, I would stick with a good synthetic fabric. You do not want to be stuck out there with cotton layers as they will not do a good job at drying quickly or regulating your body temperature. You will always want to have a good down jacket as well to put on in the mornings and evenings, when the temps drop! If you need more information on what gear to choose, please feel free to get in touch. 4). Book in Advance. 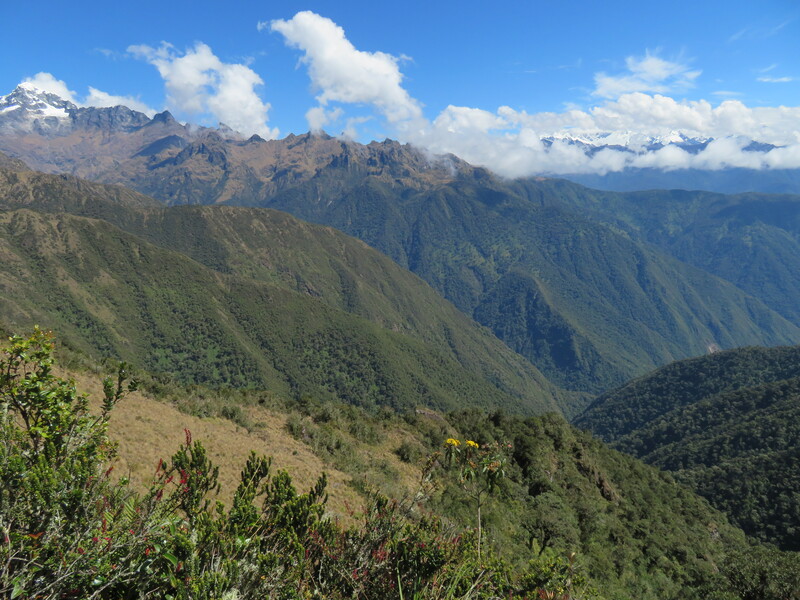 The Inca Trail is regulated by the government of Peru and therefore strict regulations have been put in place. 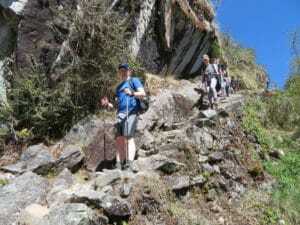 The trail only allows for 500 people per day to be on it, including all porters/guides/cooks and tourists. This can definitely limit your chance of being able to sign up to a trek, unless you plan well in advance. You have to book your place on a trek no later than 6 months before you plan to travel in order to get your spot booked. 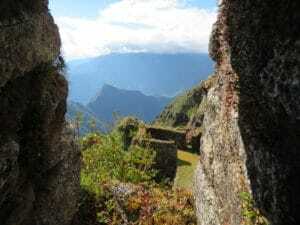 If you arrive in Cusco with plans on going on the Inca Trail, without having something booked 6 months prior, you will most likely be disappointed. There are many other treks into Machu Picchu that you can take, but if you want to be on the actual Inca Trail, you must book in advance! 5). 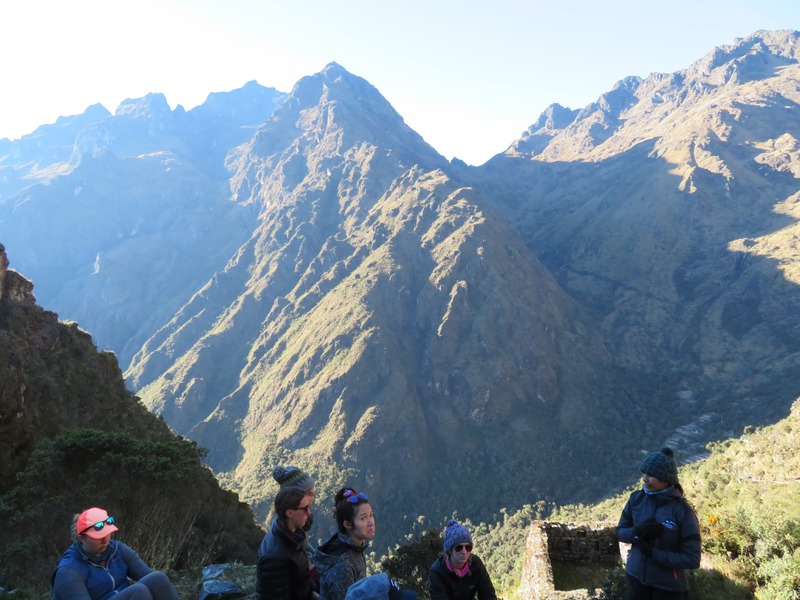 Pick your dates While you can hike on the Inca Trail year-round, there are definitely months in the year that have more suitable weather to take your journey than others. The months of May through September generally give you the best chance of being on the trail with the least amount of rainfall. Most likely you will always see precipitation on the trail, no matter what time of year it is, but if you go during the months of May – September, you will have the best chance of lower amounts of rainfall. 6). Arrive in Cusco with plenty of time to acclimate. The beautiful town of Cusco, Peru sits at 3,400m/ 11,152ft above sea level. If you are flying in from sea level, this is quite a large jump to take, and most likely, you are going to feel the lack of oxygen and possibly feel the signs of altitude sickness from your arrival. 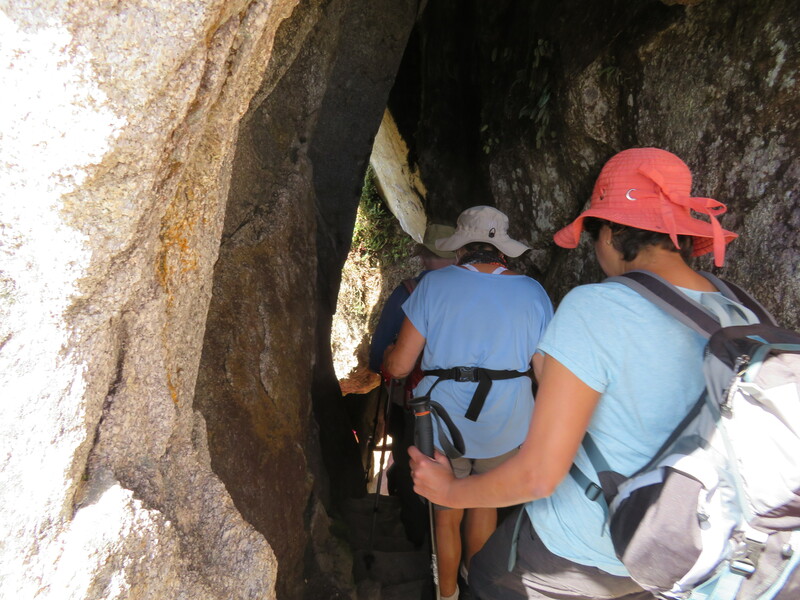 It is a terrible idea to plan your journey on the Inca Trail after only one nights sleep in Cusco. If time allows, you should sleep at least two nights in Cusco to give yourself that much needed time to acclimatize. The start of the Inca trail is actually at a lower altitude than Cusco, so if you give yourself that much needed time at those heights, you will definitely feel the benefit when you start hiking. 7). Drink, Drink, Drink. Water is your best friend at altitude! You can not drink enough water or hydrate yourself enough when you are at those heights. Your body dehydrates 4 times quicker at altitude, therefore you need to replenish your fluids and drink a lot more water than you back home. I always try and drink anywhere from 4 to 5 liters a day when at altitude. If you follow this rule, you will combat altitude sickness and keep yourself feeling good throughout the trip! 8). Be prepared for the outdoors. 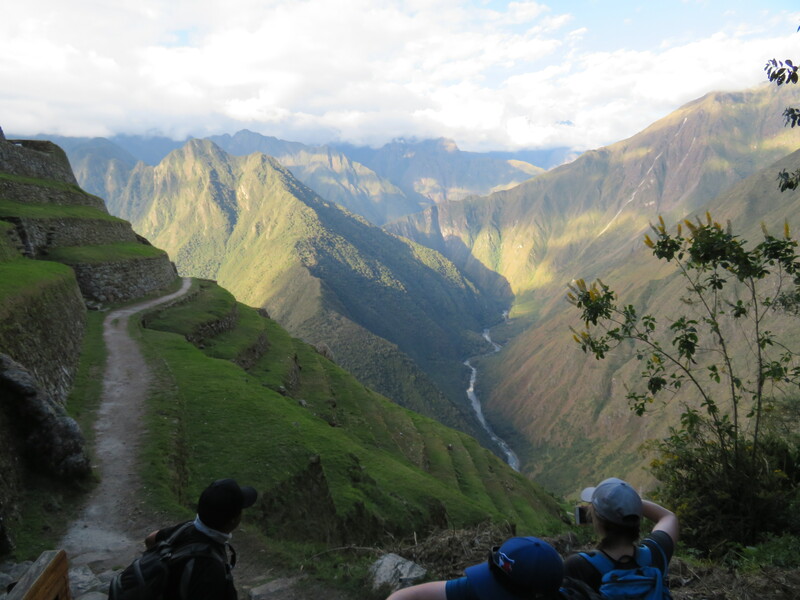 The Inca Trail to Machu Picchu is one of the World’s most beautiful and well-traveled trails. It is accessible to most people out there who are avid walkers/hikers, however, it is still the outdoors, and you have to be prepared. Not only do you have to deal with the difficulty of hiking and the weather on the trail, you need to prepared to have to live in the outdoors for 4 nights. This means that you will be walking, sleeping, eating, and going to the bathroom in the wilderness, and you need to be comfortable with all of these things. There are some toilet facilities in the campsites that you can use, but along the trail you will need to use the great outdoors as your facility! Always remember to carry a small bottle of hand sanitizer so that you can keep bacteria off your hands. Do make sure you have the right vaccinations for your Inca Trail trek to Machu Picchu. 9). Pacing yourself on the trail. One of the biggest mistakes you can make while on an altitude trekking trip is to over exert on the trail. You should never be in a position that you are out of breath or fatiguing your muscles or having a high heart rate while walking on the trail. You need to keep the pace at a slow and controlled speed to make sure that these things do not happen. If you are on the trail and start to feel that your guide is going too fast, you have to slow down and take it at the speed you need to be comfortable. It is not a race to the finish line! 10). Get ready for some of the most amazing experiences of your life. 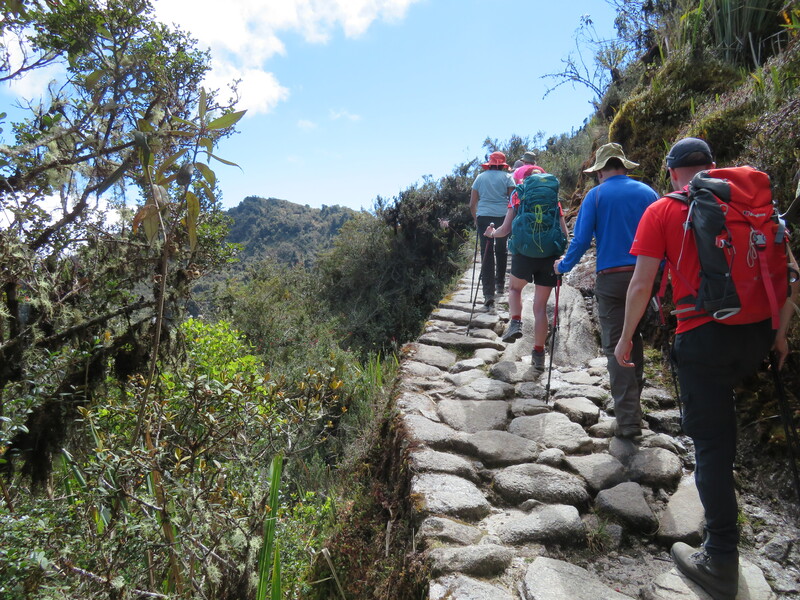 The Inca Trail to Machu Picchu is one of the World’s greatest and most beautiful treks. Following in the footsteps of the Inca people to the Great Machu Picchu will undoubtedly give you some of the most beautiful and unique views that you have ever seen! Make sure you have brought your good camera, a solar charger (or spare batteries) and an open mind to view this beautiful trail! Enjoy!